It has always been my belief that since the days of King David, God has picked on songwriters. Temptation, soaring highs, and the deepest hardships travel parallel to a troubadour’s life, much like the timeless lyrics they pluck from the aether. 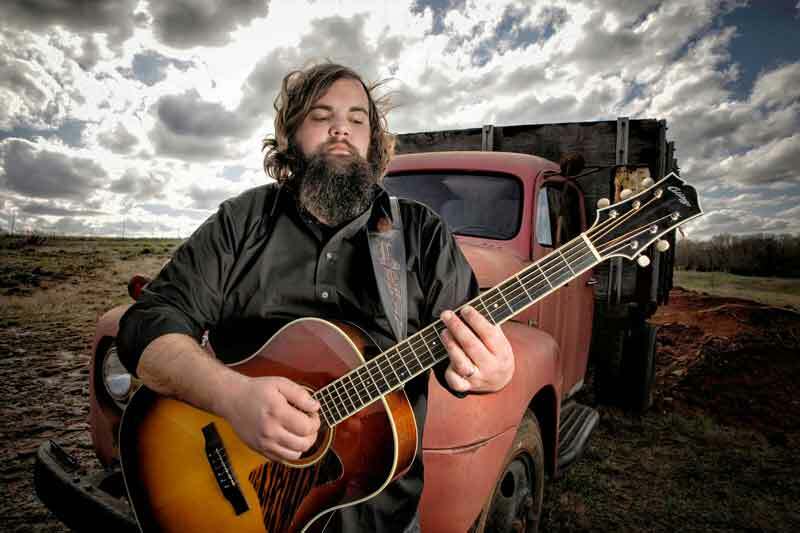 Through car wrecks and cancer, with questions unanswered, Levi Lowrey sat down and had a long conversation with himself, the result being his first independent release, My Crazy Head. After a turbulent last 5 years, Levi Lowrey has reached the top of Country Music’s charts by penning “Colder Weather”, graced the stages of the Ryman, Red Rocks, and Madison Square Garden, toured internationally with Country Music’s premier acts, and released 2 stellar albums, all while dealing with the personal tragedies affiliated with the Songwriter’s Curse. In late 2014, he took several month leave from the spotlight to tend to family, build some callouses back driving nails, and concentrate on his craft and approach to the music industry, in general. Much like his previous albums, I Confess I was A Fool (2011) and Levi Lowrey (2014), My Crazy Head is a piece of art that is felt as much as it is heard. Lowrey’s writing is both ahead of and behind the current state of Country Music. With the deepest respect to the roots of this genre, his lyrics stream the simplistically complicated storytelling of Samuel Clemens and the blue collar, everyman’s poetry of Kris Kristofferson. Not a line wasted, not a detail overlooked. Yet this is not a Country album. It’s not Folk, Bluegrass, or Rock either, although they are just as prevalent. My Crazy Head is something deeper, and much more spiritual. This could be because it was written, recorded (by Lowrey in his basement), and released all within a few creative months, or the fact that we are lucky enough to witness the raw, true genius of a master raconteur coming into his own. My greatest admiration for Levi Lowrey’s writing derives from his unabashed and brutal honesty. This is the reason for the kindred connection he shares with his faithful and almost militant fans, known as the Levites. Every song in the collection is plucked straight from Lowrey’s life, leaving the listener feeling as if they’ve personally known him for years. While “Dreamer’s Pedigree” is an ode to following one’s heart and the artist’s own primal urge to ramble, “A Maritime Song” warns of the dangers affiliated with the abandonment of loved ones for the treasures of man. “Young and Free” cuts straight to the marrow depicting Lowrey’s wife, Stephanie’s, year-long battle to defeat Hodgkin’s Lymphoma and their decision to allow their young boys to embrace childhood by not divulging the severity of her illness. You will instantly feel a lump in your throat as you hear the whole Lowrey clan singing along, especially Stephanie’s strong and beautiful harmony. ll_bio_2While this could have easily become a dark album, My Crazy Head shines a portrait of sun breaking through a storm, full of hope and new beginnings. The anxious tempo and promise of resurrection found in “No Trouble Tomorrow” spawns directly from the artists own struggles to harness his crippling panic attacks. “Empty Canvas” is another hymn of salvation, woven between a uniquely haunting melody and chorus you will be singing along with after the first pass. The album’s title track may be the best example of his prowess as a producer and engineer, a genre-crossing anthem with commercial potential that sonically, just feels right. Still in his early 30s, Levi Lowrey is an old soul, years ahead of the miles usually necessary to create such a wealth of experience. My Crazy Head has everything we’ve come to expect from a Lowrey album. It sounds as good Saturday night with Old #7 by the burn barrel, as Sunday morning on the couch with a cup of coffee, black. It’s both old and new, a testimonial and a benediction. But there is something more to it. There is a sense of awakening, a realization by the artist that life is full of miracles and second chances. Tribulations be damned! The Songwriter’s Curse will always haunt the creative soul, but the best learn to live with it. I still believe God picks on songwriters, but He does so because He wants the most from His flock, and Levi Lowrey is among His finest. Levi Lowrey is a singer-songwriter from Dacula, Georgia. He has performed extensively as a solo artist, headliner, and as the supporting act for well known names including Clay Cook, and Zac Brown Band.